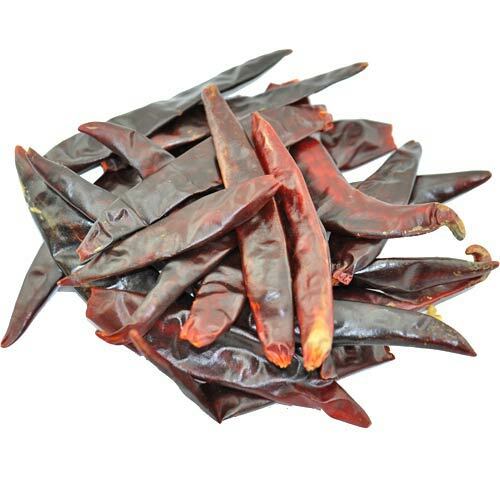 The Puya chili is also referred to as “Pulla” and is a member of the Capsicum annuum species. Puya chillies look very similar to the more popular Guajillo, but they are a bit smaller and hotter (5,000 - 12,000 Scoville heat units). The peppers are elongated, about 8 cm in length and ripen to a deep crimson or purplish red. They have a fruity flavour with licorice, cherry and wild berry undertones. The Puya Chili is a popular chili in central Mexican cuisine for sauces, salas, moles and stews, where you need a fruity flavour. They fit also well with fish and chicken dishes.